The Rumba speaker cable encapsulates the brand's eye for simple yet highly effective designs. 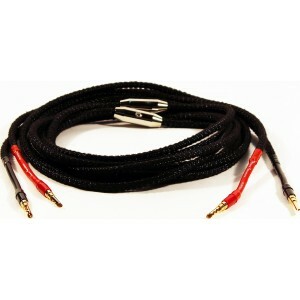 Available in 2 or 5m a pair, this cable offers a full-bodied and clean sound. Black Rhodium Rumba Speaker Cable - Terminated Pairs gives substantial body to your speakers' musical performance thanks to its intricate yet easy-to-use design. The model showcases a two core tin plated copper conductor and silicone rubber insulation for low-dialectric loss. Like its fellow Black Rhodium speaker cables, the Rumba is manufactured in England to the most exacting of standards. The Ruma showcases 2 core tin plated copper, 0.75mm conductors. This design offers easy use and a single connection between amplifier and loudspeaker, while also delivering stellar imaging. With the Rumna you can also enjoy a pure and tight sound over mid and high frequencies, well balanced with lower frequency notes. The design's silicone rubber insulation offers low dielectric loss which handily reduces time smearing effects. This enhances enables your model to accurately portray the sharpness of your music, as well as its natural decays. The Rumba is available with 4mm gold-plated plugs for easy attachment to amplifier and speakers.